IS 200hp simply too much for the road? There’s a question you’ll never get a conclusive answer to. Still, I suspect it’s one that will pop up a fair few times over the next 12 months, given that 2015 sees the release of 200hp superbikes from Ducati, Aprilia, Kawasaki and Yamaha. Just short of that immense power figure is BMW’s new S1000RR - it produces 199hp, has electronics that make better decisions than I do, and, if you’re partial to a bit of asymmetry, looks the business too. We already know from an earlier test that it’s blisteringly quick around a dry test track in Spain, but what’s it like on UK roads? Greasy winter roads where grip is non-existent and every leaf-covered corner looks like a low-side boobytrap. Our test bike was the Sport edition. It costs just over £1,000 more than the basic version but comes with electronic suspension, extra riding modes, a quick-shifter, heated grips, LED indicators and a seat cowl. This 2015 model may look similar to the old bike but it actually has completely different chassis geometry, new engine internals, different bodywork, revised electronics, more power and more torque in the mid-range. It’s a serious update and not just a thinly veiled excuse to remind fickle sports bike riders that the S1000RR is still very much a contender in the superbike class. I’m a big fan of sports bikes but I tend to prefer two-cylinder to four-cylinder models. The former tend to be more compact and a lot narrower, which I like. Sitting on an old GSX-R1000 is like trying to wrap your legs around an oak tree. 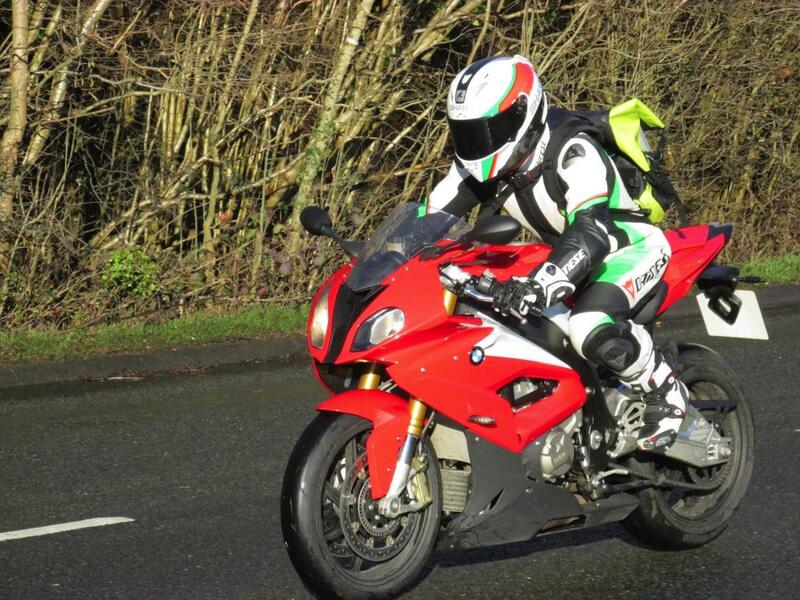 But there’s none of that with the new S1000RR. I don’t know how BMW has managed to keep it so narrow but it’s no different in shape to a modern supersport. 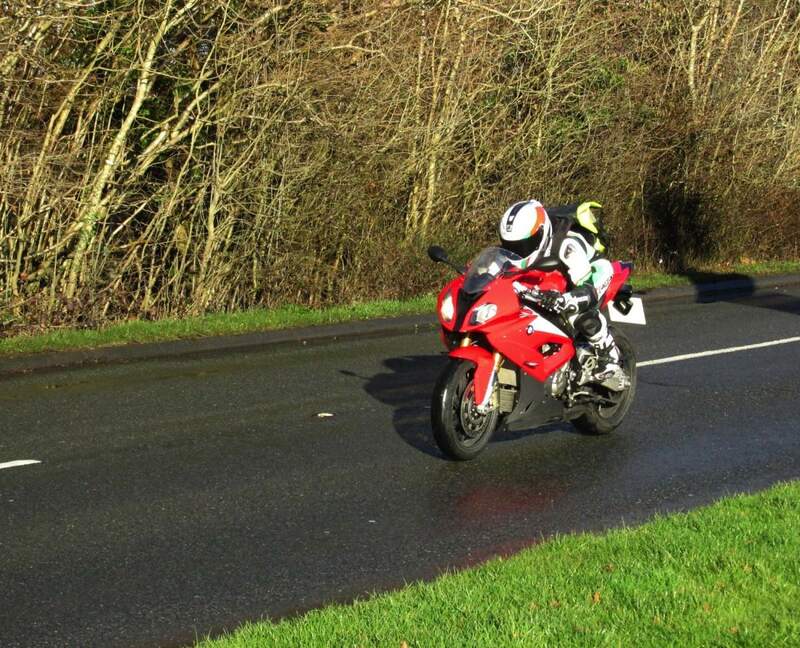 The tank doesn’t splay out your legs and there’s no protruding fairing getting in the way. It handles like a 600cc sports bike too. You don't need to fight it into corners, turn-in speed is exceptionally quick thanks to a steeper rake and it’s not at the expense of stability either. There’s very little headshake or movement under power, just drive from that 190-section Pirelli Diablo Supercorsa. Well, when it’s dry, anyway. You see, I’ll never understand why new bikes aren’t offered with a choice of tyres. The S1000RR may be a weapon on track and have silly amounts of power, but it’s no good if you can’t actually lay it down. Even in rain mode where power is reduced and delivery is significantly softer, the rear was lighting up coming off roundabouts under even moderate acceleration in the wet. Pirelli Supercorsas: awesome on a track day, complete cack in cold weather, even worse in the wet. A smart feature that does work is BMW’s new Gear Shift Assist Pro. It lets you hook both upshifts and downshifts without so much as breathing on the clutch lever. 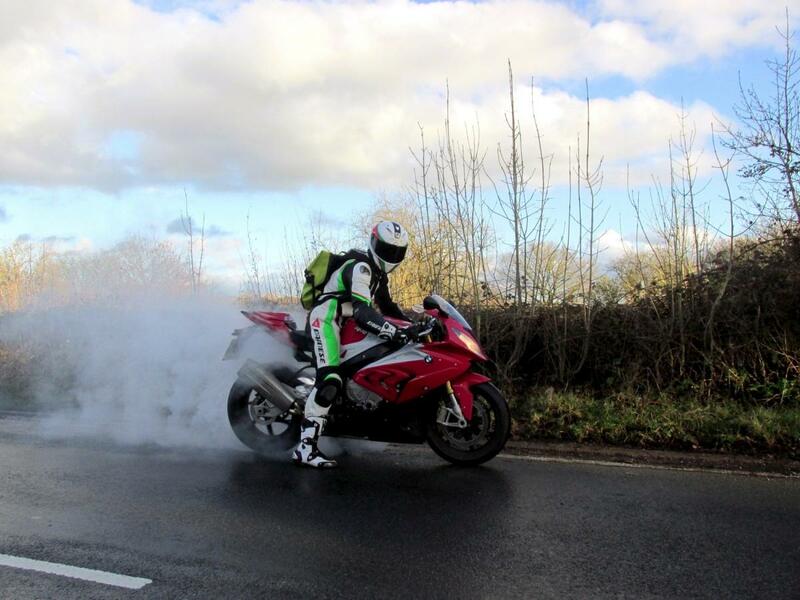 It may be aimed at track riders looking to scrape a tenth off their personal best but I think its real strength is how it helps to keep the bike stable. It’s like handing clutch and gear lever duties over to Marc Marquez whilst you concentrate on braking. Seamless upshifts every time and perfect throttle blips on downshifts. It might feel like cheating but it’s certain to make you a smoother, if not faster rider, by removing jerky inputs that unbalance the bike. The gearbox is quick and precise too but I couldn’t get used to the soft feel and minimal amount of travel in the gear selector. Downshifts felt odd to me, as though I was pushing my boot into sand, instead of feeling a definitive clonk as the bike selected a new cog. Occasionally I’d have to look down at the digital gear indicator on the dash to see if the transmission had actually shifted. That, or I’d listen for a change in engine note booming from the S1000RR’s new exhaust, which happens to sound unbelievably good. In a world where aftermarket exhausts can easily cost £1,500 for a full system, it’s nice to see a stocker pumping out some proper noise. It’s got a hollow whir that changes into pops, bangs and burbles as you downshift and leave it on the overrun. I even caught a young boy in the back of a car pointing at his ears and giving me a thumbs up. I took that as code for ‘wheelie...now please’ - the bike duly obliged. 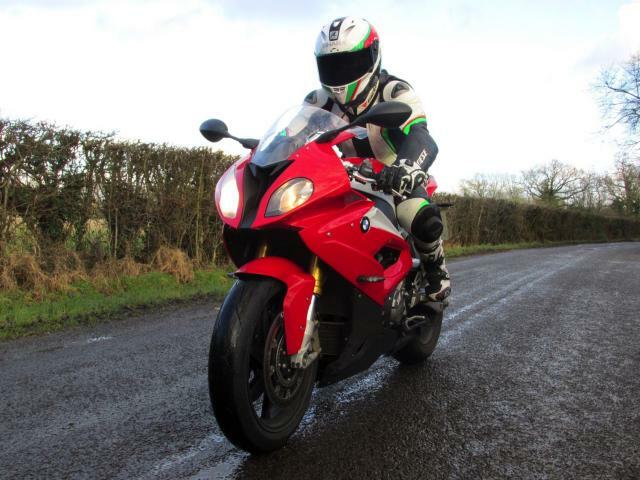 The old S1000RR engine is praised for its endless amount of power, but it now makes 6hp more and has a dollop of extra torque in the mid-range too. Acceleration in third and fourth gear pulls much the same as a 600cc in first gear, while pinning the throttle in first and second verges on scary. With only 700 miles clocked on our test bike, it could get even faster as the engine loosens up with mileage. 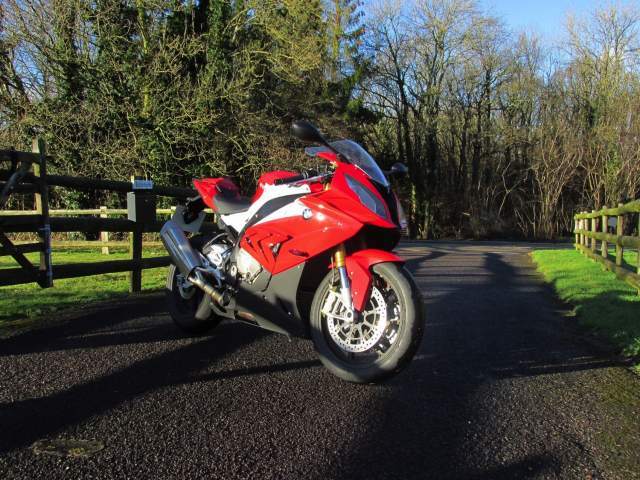 It's not unknown for used S1000RRs with 5,000 miles on the clock to make around 5hp more than new ones. There's no need to ride this bike like a hooligan to go fast. The engine is strong and smooth enough to pull from sixth at low speeds and the electronic suspension, while firm, offers perfect damping on sketchy roads. In fact, before paying £13,700 for the basic version, I’d beg, borrow and steal to find the cash for the Sport. It will be easier to flog if you ever decide to sell and the electronic suspension and Gear Shift Assist Pro are more than worth the extra cost. In common with almost every modern sports bike, the ABS-equipped four-piston brakes are powerful and only require one finger on the lever most of the time. One thing that puzzled me was the lack of a proper fuel gauge - you get a residual range reading but you have to cycle through the display using the left hand switch gear to find it. It just seems an odd feature to leave out when things like launch control and a pit lane speed limiter make the cut. Still, there's no need to panic over running out. The low fuel warning light came on after 95 miles of normal riding and the onboard computer showed the 17.5-litre tank still had another 40 miles in reserve. After several days of riding the new S1000RR, I couldn't help but think of it as the two-wheeled equivalent of the Bugatti Veyron: wildly fast and yet completely manageable. The comfortable riding position, light throttle with perfect response and heated grips make me want to call it civilised too. So is 200hp too much for the roads? I don't know...199hp seems absolutely fine though.